Here comes the new round of our vaping gear and electronics flash sale. Product list as below. Ends at 23:59PM on April 13 (PST). 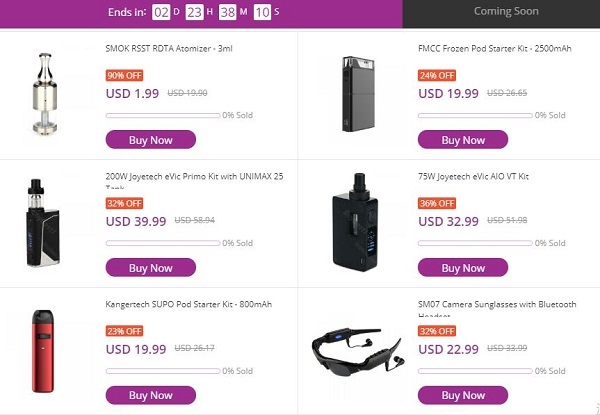 BuyBest, a competitive online shop founded in 2017, focuses on e-cigs, small consumer electronics like Bluetooth speakers, mini cameras. We choose every product elaborately, to guarantee the top quality and low price for our customers.